Today we talk about the assortment of competency, behavioral and knowledge characteristics, collectively referred to as key qualifications. These include cognitive competence, communicative competence, social competence, self-competence and, ultimately, general basic knowledge. Education can make a significant contribution to achieving a state in which the individual is in a position to shape his or her life well for themselves and within the framework of society. In addition, education means consciously or unconsciously dealing with and learning about things in the most diverse situations and worlds of reference. Our workshop concepts cover a wide variety of needs and can be used as standalone measures as well as accompanying, relaxing program items of conferences, meetings, trainings, meetings, etc. Happy people are more dedicated, more creative, more productive, more loyal and more cooperative. Benefit from our successful Diversity Management! 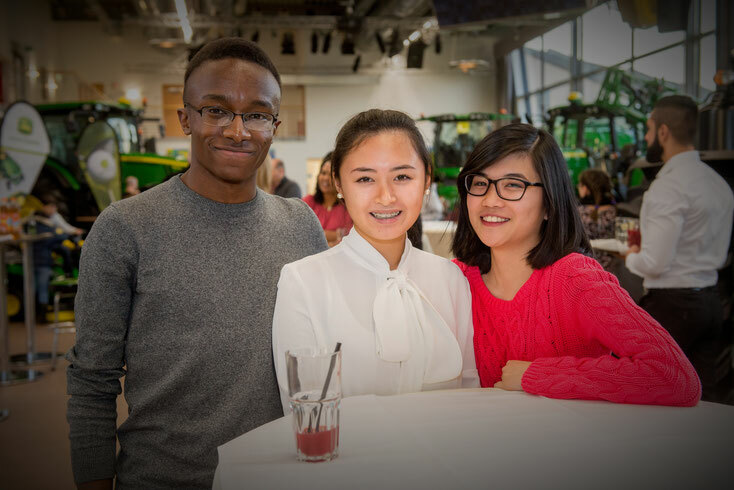 Under the motto "Discover your voice -" or "Singing makes you happy", we regularly hold workshops and appearances with scholarship holders and mentors of the "Roland Berger Stiftung" Baden-Württemberg and Berlin-Brandenburg, for example.